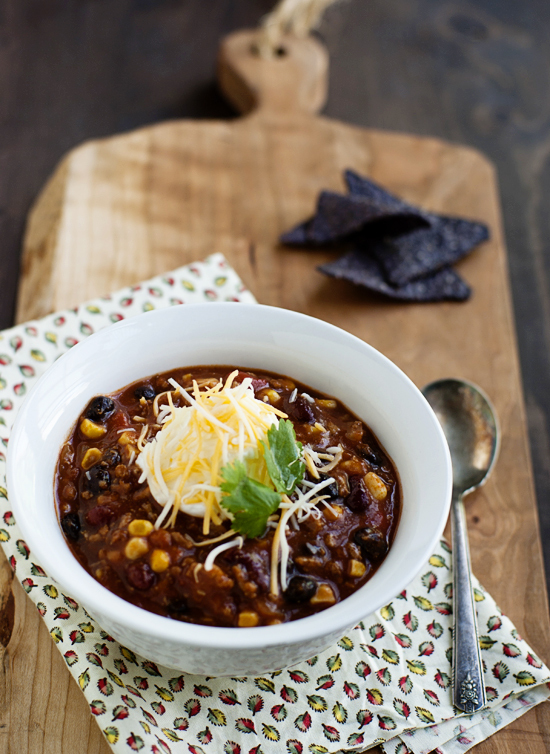 If you think about it, there is a lot of common ground in the worlds of chili and tortilla soup. The spice, the chunky veggies (at least in my versions of chili), the wide array of garnishes. In my mind this union would make a serious bowl-o-goodness. Char grilled corn and peppers, I would like you to meet black beans and ground turkey. I’m sure you’ll become fast friends. 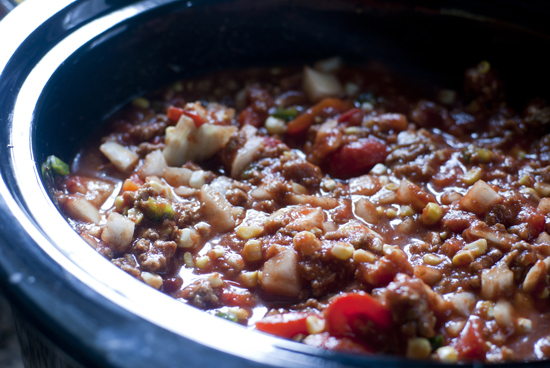 Add a little minced jalapeno, diced onion, and sliced garlic and you are on your way to one crowd pleasing pot of chili. This is hot, chunky and satisfying the day of but makes even better left overs. This will be perfect for a cool fall afternoon of watching Football or in my case, a great pick-me-up after another merciless loss of my Fantasy Football team. I think I will just stick to the food. Happy Weekend, everyone! Heat grill over medium high heat. Add corn and peppers (skin side down). 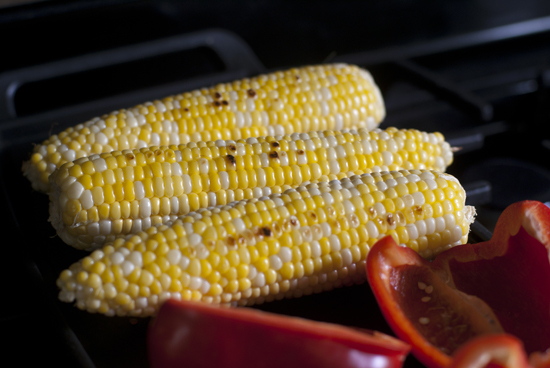 Grill until corn has char marks, and the skin on the peppers is blistered and black. Remove vegetables. Place peppers in a glass bowl and cover tightly with plastic wrap. 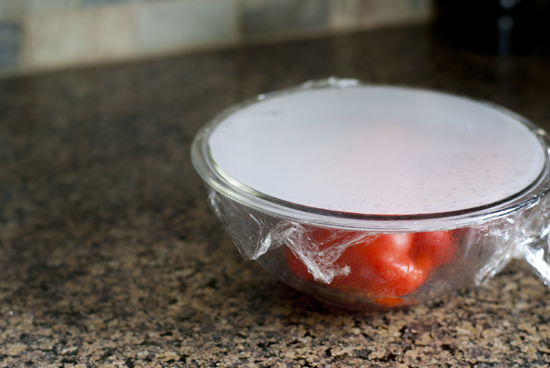 Allow peppers to steam for 10-15 minutes (to loosen skins). 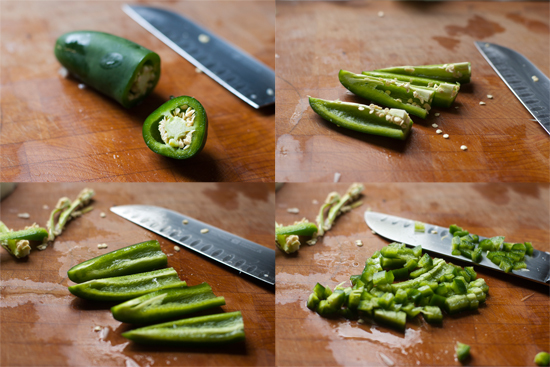 Peel skin off of peppers, chop, and place in 6 quart crock pot. Use a knife to remove corn kernels from the cob. Add corn to the crock pot. In a large skillet, heat oil over medium. Add turkey and cook until browned, using a wooden spoon to break into small pieces. Add spices (chipotle chili powder, chili powder, cumin, coriander, salt and pepper). Stir until spices are mixed in, about 1 minute. Remove from heat and add turkey mixture to crock pot. Add remaining ingredients (through chicken stock) to the crock pot. Stir and cook on high for 4-6 hours. Adjust salt and pepper to taste. Serve with sour cream, shredded cheese and blue corn tortilla chips. 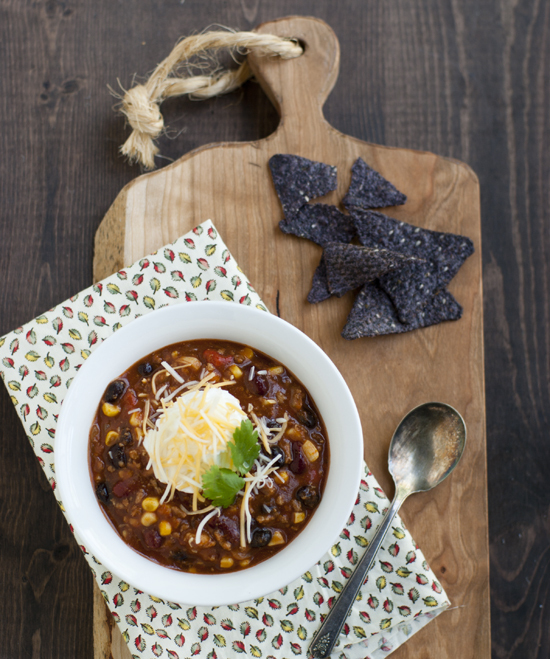 Serve chili with sour cream, shredded cheese and corn chips.